The Mighty Snake is Here! Happy Chinese New Year 2013! Happy Chinese New Year folks!!! The long awaited time of the year is finally here! We, from the endearing moments would like to wish our beloved readers, our followers, our families, our friends, our colleagues and our business partners, a very happy and prosperous new year! May each and everyone of you be blessed with good times with families, friends and loved ones. Let the mighty snake year brings us abundance of joy, health and wealth. Open our arms and receive the blessings with much gratitude. 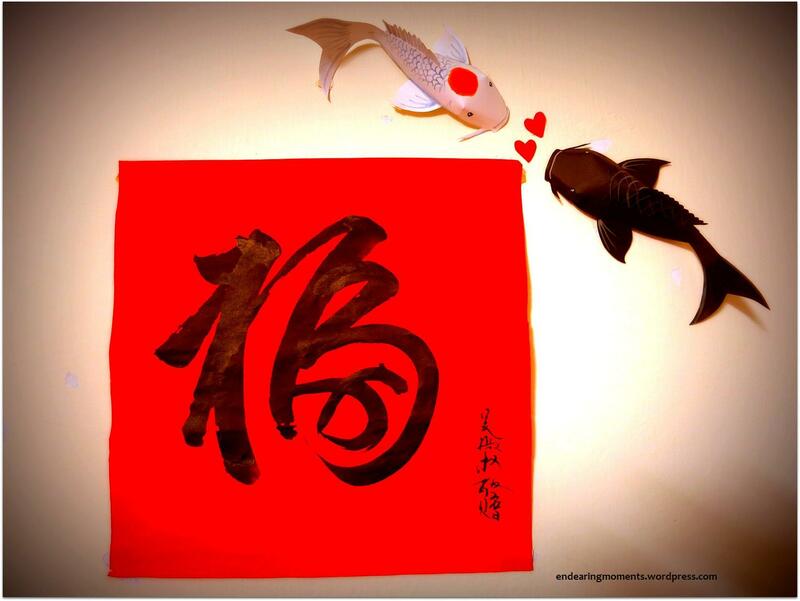 Here is a personally hand-written 福 and hand-made koi fishes to sincerely wish everyone a very happy chinese new year. Previous Savory Pork Trotters Next The Mighty Snake is Here! Happy Chinese New Year 2013!